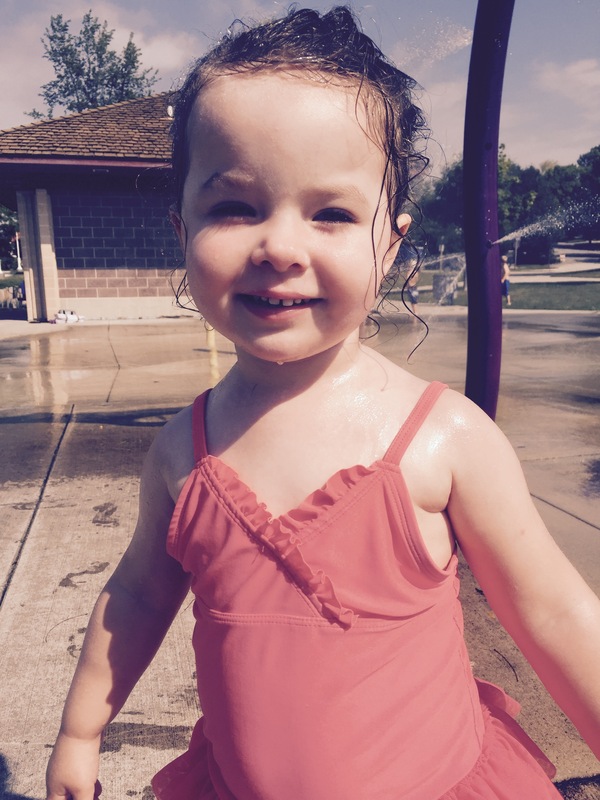 I blinked…and then she was three. I had a moment of clarity last night. It hit me HARD. My baby girl will be three years old this week. How is that even possible? She was this tiny, sleepy, smiley little bundle of joy from the minute she arrived. She had a head full of curls as soon as her hair got long enough. She waited to giggle until we thought we couldn’t stand being patient for one more second, and when she let out her first squeal of glee I felt as though I could leap over mountains with joy. She captures my heart with every twirl of her hair, every raised brow, every question, every made-up song, every silly dance move, every strum of her ukulele. She will have me in the palm of her hand forever. When our son was born, I was handed a piece of wisdom – just because Gracie is the oldest now doesn’t mean she’s big yet. And I honestly think it has taken 14 months for that to sink in. She woke up crying in the middle of the night last night – a rarity these days. She was clearly dreaming, sat up, and started bawling. Her Daddy and I rushed up the stairs to comfort her. It was in that moment, when I watched him snuggle her and carry her to use the bathroom, that it hit me – she will ALWAYS be our baby. No matter how old she gets. No matter how much she grows and changes, that will remain constant. Right now she has this ferocity about her. Everything has to be just to her liking; just the way she envisions it. She can run into your arms with such abandon that the weight of her body against you, the weight of her trust in you, fills your entire soul with happiness. My heart stops in those moments, knowing that with time all of this will change, and new, magical things will take their place. And while I can’t wait, I already mourn the loss of each stage we have passed these last three years. She is changing. She is growing. She makes me proud every single day. And I can’t wait for all of the exciting things to come.